How do you handle world building? How do you balance between telling too much and too little about your fantasy world? I’ve actually just written a book on the topic, and I hope to get it out this month. I like to build my world before I begin developing the characters, since the characters, the societies, and the conflicts all have to grow out of the world. So I consider such things as: What kind of sun does my planet circle? How long is its year, day, etc.? What angle is the tilt of its axis? Does it have one moon or more than one? How did its geology develop? How did its plants and animals evolve? What are the political, economic, religious, justice systems, and so on like? What is the history, language, and biology of my people? The list for doing all of this is quite long and rigorous, so it is a bit hard to talk about here, in such a short answer. For me, worldbuilding is really fun. I just have to be careful to make sure that I don’t spend too much time at it. Ultimately, you’ve got to stop building the world and get writing. Your books have sold millions of copies and have been critically acclaimed. Do you have this fear ‘Oh, the next book might not be as good’? How do you get past it? With each novel, I try to find certain things to work on that will make the book better in some way than books in the past. For example, I might try to look for better hooks, or work on the poetics of the language, or try harder to write great dialog. My goal is to simply keep moving forward with the story, rather than to get blocked. I take pressure off myself by admitting that I will probably never write a perfect novel, simply because my tastes might not match the tastes of my readers exactly. So I want to write a novel that feel as perfect as I can make it. I look at it like this: I might write a novel that is the equivalent of a perfect chocolate milkshake. But if my reader’s favorite flavor is vanilla, he or she still might not like it. What are your thoughts on indie publishing and the rise of ebooks? Do you see it as a threat to trad publishing? Or do you think the two would coexist together? That said, not all indie books are bad. There are plenty of fine ones, and I think that there always will be. So there is room for both mediums of publishing. What’s a typical writing day like for you? How many words do you write a day? I tend to write in bursts. When I write, I like to take two or three weeks and seclude myself, so that I can focus all day long on my writing for days in a row. I write an average of about 5500 words (22 pages) per day, but on my best day I completed closer to 20,000 words, or 80 pages. So if I can get in the groove, I really can move. I tend to write the endings of my novels rather quickly, since I’ve been thinking about where I’m going for months. I believe your Runelords series will be made into a movie and you have already written the screenplay? Can you shed more light on it? I do have a company that is very eager to make the movie, but beyond that, right now I am under a non-disclosure agreement and can’t legally talk about it. If this company can’t make it, I have several other entities that do. But there are no guarantees. Let’s all just keep our fingers crossed. How do you handle the magic system in your books? Well, in the Runelords system I really wanted to develop something unique, and I spent a great deal of time researching ancient magic systems before I invented mine. The magic system, like the political systems, economic systems, military, and other “power systems” as I call them, are really central to how people interact and what they do. I like a magic system that has a bit of mystery to it, where the powers aren’t completely understood, since to have a system where the magic is completely understood is to simply create an alternate science. On the other hand, your magic needs to have some rules on how to use it, and it needs to have a price. By that I mean, the power needs to come from somewhere, have a cost. If it doesn’t have a cost, then the magic will undercut the tension in your story, making it feel as if anything is possible. You write science fiction and fantasy. Do you think the same people who read your fantasy also read your science fiction? Or do both genres have different readers? A lot do, but studies show that there is only about a 40 percent crossover. In other words, some read only science fiction, while others read only fantasy. I happen to like both. You have an interest in Biology, I believe? Yes, I was a premedical microbiology student in college, and I was interested in medicine. My first book, in fact, written at the age of 16, as a field guide to members of the weasel family. When I was that age, my older brother was studying wildlife biology, and sometimes I would cut out of high school in order to sit in on his classes, so I learned a lot. I think that my love of animals and nature—which extends to prehistoric animals—has always been a strong interest for me. So I’m fascinated by animals and their habits and abilities. Has there been any incident in your life without which you wouldn’t be the writer you are today? Now, that’s an interesting question. I think that one of the best pieces of writing advice I ever got was from my first writing instructor at Brigham Young University. She said, “Don’t be afraid to tell a ‘big,’ story.” I think that without that advice, I might have kept writing in the literary mainstream. But seriously, I sometimes wonder: there are so many different pieces of advice that I’ve gotten, so many poets and authors that I’ve loved, I think that each has to have had a subtle influence on me. 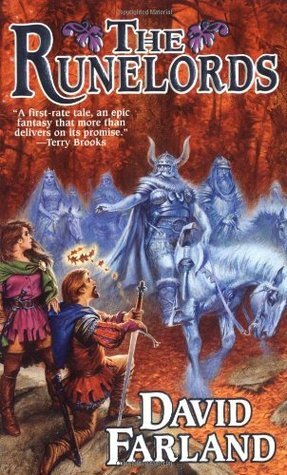 What would you suggest a wannabe fantasy writer to do? Read widely, study the art diligently, practice your craft. Really there isn’t any single secret on how to do it. I really just think that you need to work at it consistently. This is a site that I use for training other writers. Over the years I’ve taught dozens of authors how to become New York Times bestsellers—people like Brandon Sanderson, Stephenie Meyer, Brandon Mull, James Dashner, and so on. So on this site I publish articles on how to write, have links to writing books that I either like or have written myself, and I also have links to classes that I teach—some of which you can take online, and others that you can take in person. Anyone can go to the site and signup for my free newsletters, which has articles that I send out twice a week. When you sign up, you can also get a copy of a book on writing for free, so don’t hesitate to get that. I never give out or sell a reader’s email address. What’s going to be your next release? In the next few weeks, I will be finishing A Tale of Tales, the last book in my current Runelords series. After that, I’ve got a list of at least half a dozen novels that I want to write. My novel Nightingale won a number of awards and is popular. 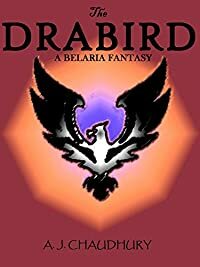 It’s a contemporary fantasy about a young man who is abandoned at birth and gets kicked around from foster home to foster home because he is so strange—until a teacher recognizes that he is not even human, but is a member of a species of humanlike creatures that have long been living in hiding among men. It’s a lot of fun, and I have three more books to write in that series. The first book won the International Book Award for Best Young Adult Novel of the Year, along with the Hollywood Book Festival Award for Book of the Year, along with several others. I think that we’re good.